Principia Management Group offers business consulting services and strategic partnership to domestic and international clients. The company provides due diligence, research and structure financing. Additionally, it offers transaction negotiation, merger and acquisition, and investment evolution and advisory services. Our deep local knowledge and expertise have helped our clients to not only successfully enter Indonesian market but also creating a significant impact for the nation by providing the most effective solutions. Analyst levels primary role is to provide support in performing due diligence/ research, documenting & executing investment deals, and assisting in formulating strategy for our client. Fresh graduates and candidates with several years of work experiences are welcomed. Associate levels role is to establish relationships with related parties on top of leading the project. Associate is also expected to lead internal firm initiatives / extracurricular activities to maintain cohesive environment in the office. Master graduates and candidates with relevant years of work experiences are welcomed. Vice President is responsible in bringing-in client and/or investment deals as well as formulating strategic initiatives in improving project’s and company value. VP leads several projects at times and provide guidelines for the team. We are always interested in hiring top talents. We take pride in our cubicle-less office where Partners and Analysts are just as approachable. We insist upon transparency, accountability, frequent and clear lines of communication, and horizontal rather than vertical governance. Two heads are better than one and we Principians treat each other like one big family. As a result, we have a highly developed portfolio of transactional work as well as social projects, which include supporting charitable works. 2019 Principia Management Group. All rights reserved. During his tenure at Principia, Aji is exposed to manufacturing, mining, and ship building & ship chartering sectors. Prior to joining Principia, He worked at Arghajata Consulting and was involved primarily in oil & gas and financial services industry. Aji holds a Bachelor degree in Industrial Engineering from Institut Teknologi Bandung. He joined 1-year exchange program during his high school. He is a certified open water diver and He was a basketball player, swimmer, and 110m high hurdles sprinter. During her tenure at Principia, Arvita has been involved in entertainment sectors. 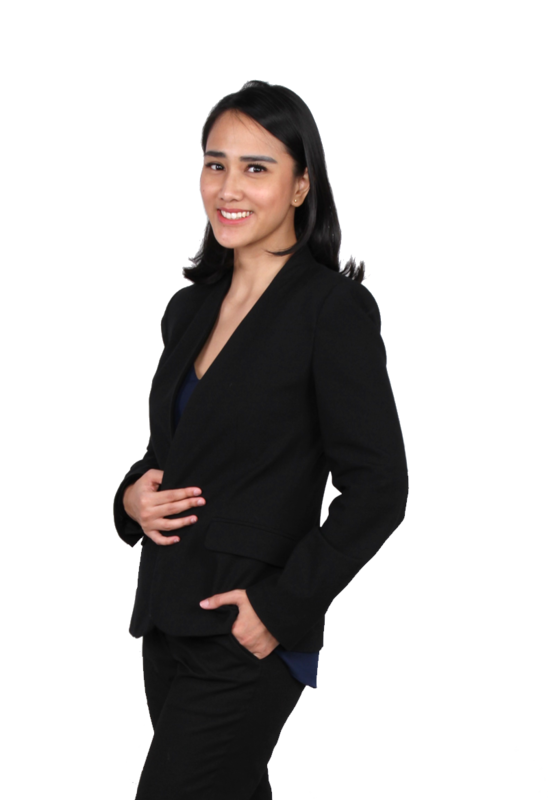 Arvita holds a Master of Science Investments from University of Birmingham, and Bachelors of Economic from University of Indonesia.After college, Arvita worked at Accenture and then Mandiri Sekuritas.During her free time, she loves to travel with her family and also baking. Nathanael joined Principia in 2014, and has been involved in managing cargo and mining sectors. Prior to joining Principia, he worked at Mandiri Sekuritas and AJ Capital Advisory. 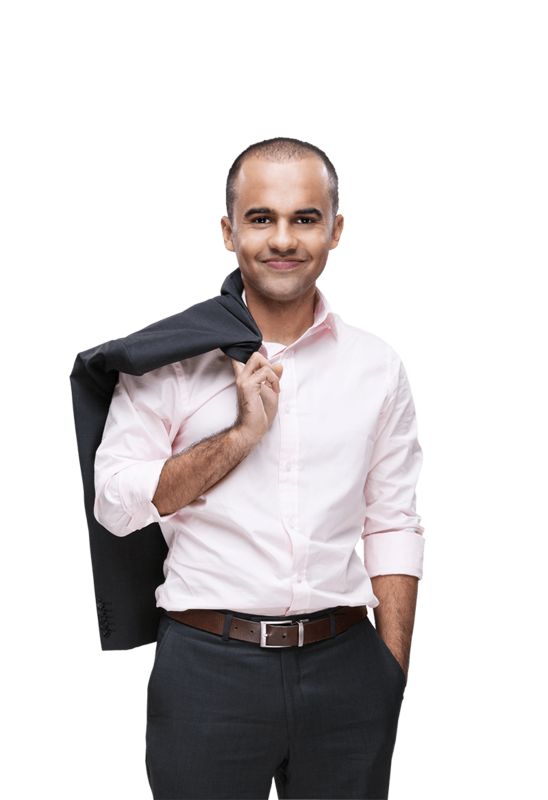 Nathanael holds a Bachelor degree of Commerce from University of Western Australia and Master of Applied Finance from University of Wollongong. He enjoys playing guitar during his free time. During her tenure at Principia, Saras has been involved in property industry. Prior to joining Principia, she worked at JJL Australia for few years. Saras holds a Master of Business from Australian National University, and Bachelor of Commerce from the same university. She enjoys culinary travel and also watching movies or TV series on her free time. During his tenure at Principia, Duddy is exposed to property and entertainment sectors. 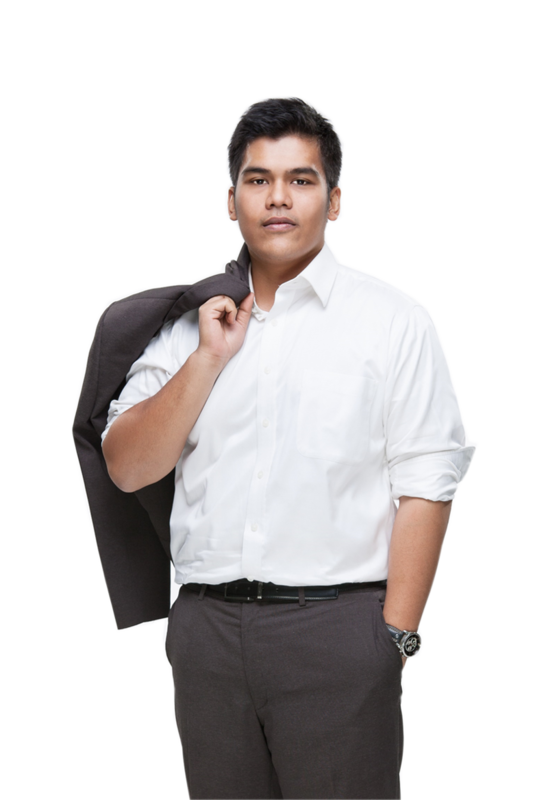 Prior to joining Principia, he was an equity analyst for First State Investment Indonesia. Duddy holds a Bachelor of Commerce (Economics & Finance) and Bachelor of Property Construction from the University of Melbourne. After college, Duddy joined Indonesia Mengajar and was deployed as a teacher in Aceh & South Sumatera. Currently, Duddy is an avid endurance triathlete. 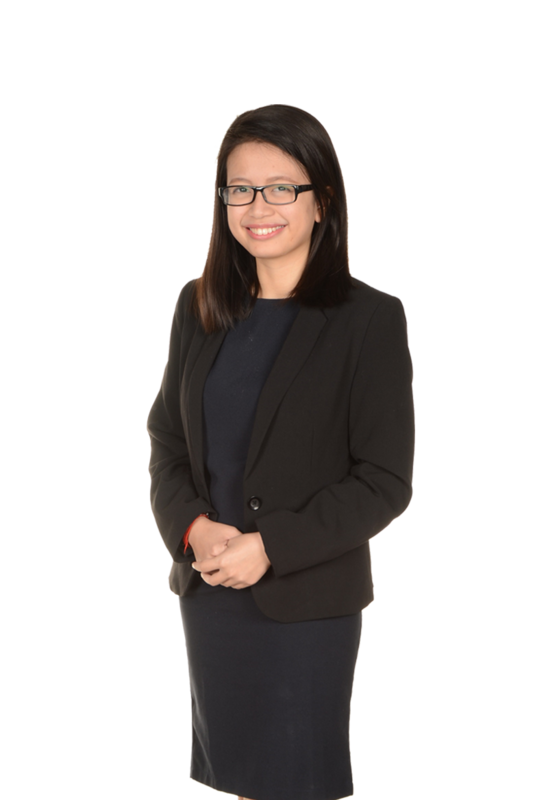 Hilda started her career with Principia as fresh graduate. During her tenure, she is exposed to marine logistics sectors. She is also active in PrincipiAid, a charity program at Principia. Prior to joining Principia, she was one of Project Specialist at the Boston Consulting Group. 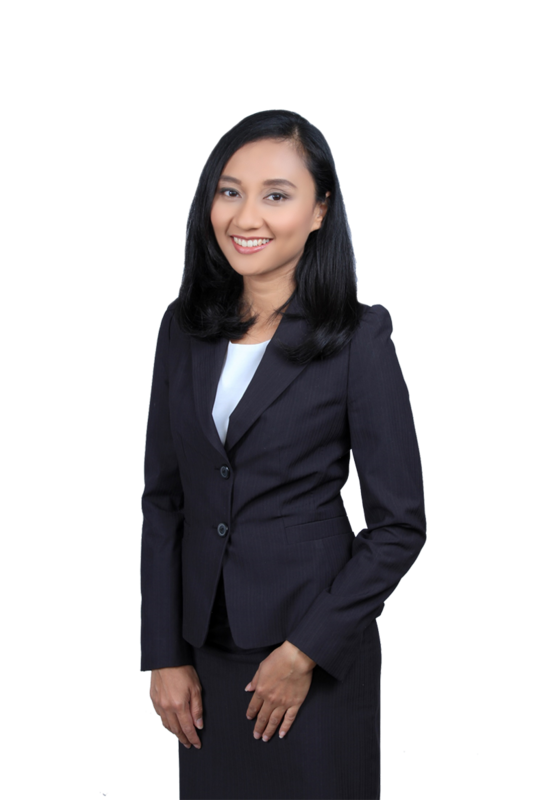 Hilda holds a Bachelor degree in Industrial Engineering from Institut Teknologi Bandung. She enjoys swimming and spending time with her dogs. As a business consulting services and strategic partnership firm, PMG offers opportunity to learn in depth in various industries and heavily exposed to various role ranging from market analysis, business and market entry strategy, transaction advisory, business restructuring as well as finance and operation. You may also experience the dynamics for each project types, new strategic investment opportunity, deal/transaction process and operation excellence. Principia has a diverse group of enthusiastic and experienced professionals. Our people hold degrees from top universities around the world and have extensive working experience across industries including management consulting and investment banking from the world’s top prestigious companies. Your personal development, both technical and soft-skills, is a critical area that we highly put our attention to. From taking advanced degree or educational certification to mentor’s assignment, we fully support you in how you want to develop yourselves. Our in-house training center provides investment professionals with skills-based training that will help in your daily work. Jakarta Animal Aid Network is a non-governmental, non-profit organization dedicated to improve the welfare of animals in Indonesia . 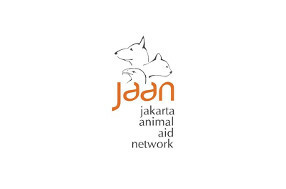 JAAN has numerous programs for both wildlife and domestic animals. The organization runs rehabilitation and release program for certain endangered species and regularly rescues and gives care for stray animal in Jakarta. Principia Management Group supported the JAAN’s campaign to educate school children in Lembata Island, Flores, on sea turtles conservation. 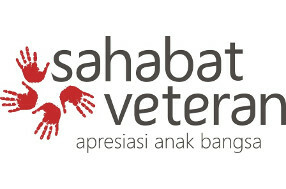 Sahabat Veteran is an independent non-profit organization that serves Indonesian veterans and veterans’ widows. The organization carries out numerous efforts to improve the wellbeing of veterans across Indonesia including renovating veterans’ houses, holding gathering events, and providing free medical check-ups. Principia Management Group joined the cause by contributing to the renovation of veterans’ houses in Boyolali and Kudus, Central Java. 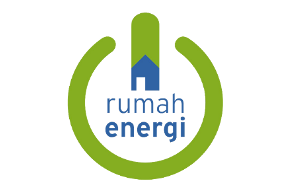 Yayasan Rumah Energi is a non-profit organization aims to develop and promote renewable energy as a solution to improve food and energy security. BIRU, their flagship program, promotes the utilization of biogas reactor as a sustainable-local energy source as well as the commercial development opportunity of biogas to create jobs. Principia Management Group was involved in developing a sustainable farming village in Garut, West Java, through the construction of pilot biogas reactor and subsidy provision for farmers in the surrounding area. 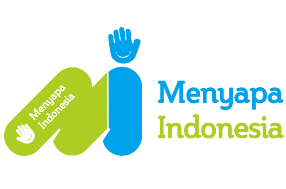 Menyapa Indonesia is a community development program which is managed by awardee of Beasiswa Pendidikan Indonesia, Lembaga Pengelola Dana Pendidikan (BPI-LPDP) Kementerian Keuangan Republik Indonesia, a scholarship from Ministry of Finance. This program is aimed to improve prosperity of the society in rural areas in Indonesia that have limited access to education and technology. Principia Management Group participated in improving the education facility in Desa Ramea, Banten, through public library construction. YPAC is an organization founded in 1953 and is currently a member of Rehabilitation International. Throughout the years, YPAC has provided a place for children who have disabilities to grow and be impactful individual in Indonesia. YPAC has 18 branches in all over Indonesia with over 2.000 children who are disabled and underserved under their rehabilitation tutelage. Principia Management Group contributed in the development of a learning center dedicated for disabled children in Karanganyar, Central Java. 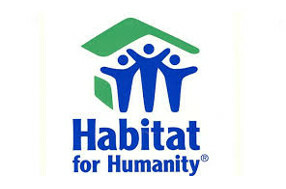 Habitat for Humanity Indonesia (Yayasan Habitat Kemanusiaan Indonesia) is a nonprofit organization that builds safe and decent homes for families in need. Principia Management Group joined the movement by helping the construction of several houses for underprivileged families in Jakarta. 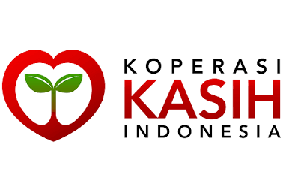 Koperasi KASIH Indonesia (KKI) is a social business providing financial services to the poor, un-bankable people, so they could achieve a prosperous life. KKI goes to the extra mile in helping poor people by providing not only loan and savings facility but also education and other supports. Principia Management Group supported KKI through funding for them to expand their support to the members. Applications for employment at PRINCIPIA Management Group (“PRINCIPIA”) are made online through this website. When you wish to apply for a specific vacancy you must complete the online application form and attach copies of any supporting documents as necessary. We collect and use this information for the purpose of recruiting candidates and considering their suitability for current and future positions at PRINCIPIA as well as for statistical analysis and reporting purposes. If you obtain a position at PRINCIPIA, we will also use any information you provide for administration purposes. 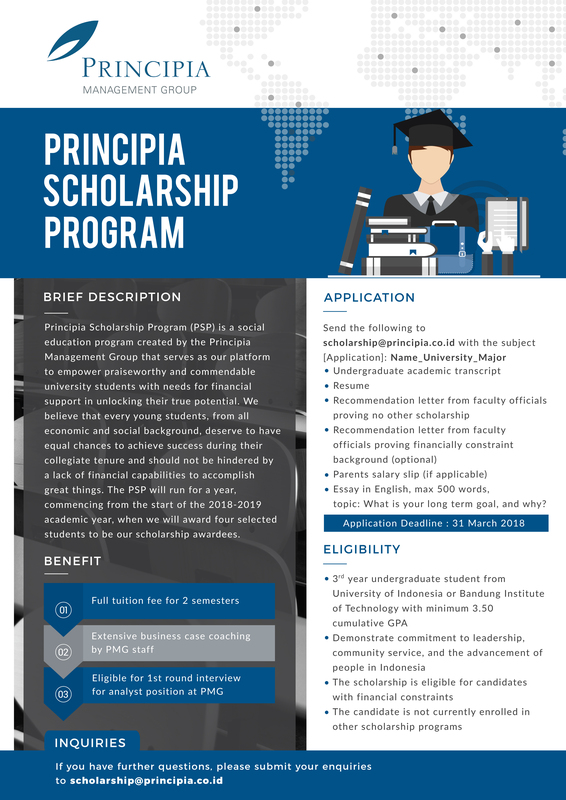 Before entering your personal information on this website please confirm that you have read this important information for Applicants and that you agree to participate in PRINCIPIA online recruitment programme. PRINCIPIA is committed to equal employment opportunities. You must apply for positions and provide all required information personally. Applications completed by recruitment organisations on behalf of applicants will not be accepted. The information you provide must be complete, accurate and kept up to date. If you obtain employment at PRINCIPIA and the information you have provided is misleading or inaccurate this may be grounds for dismissal. All offers of employment at PRINCIPIA are made by formal written letter from our Human Resources Department. That letter of offer will contain the terms of employment being offered to you, and only when you have accepted those terms in writing will there be a contract between us. No other PRINCIPIA staff are authorised to offer you employment. • Information collated or created by us from the information provided by you or others. We will collect Personal Information directly from you, unless you have authorised us to collect information from third parties such as former employers or referees. We may also make independent enquiries, and collate and create information about you based on the information that you or authorised third parties have provided. By claiming to hold particular qualifications, diplomas, memberships, or other awards and licences, you authorise us to confirm the authenticity of those claims with the issuing body. If you accept an offer of employment with PRINCIPIA, your Candidate Profile, curriculum vitae, academic transcript, and any other information obtained about you during the interview process will become part of our employee records. Personal Information collected will be stored by PRINCIPIA. We will not disclose your Personal Information to any unauthorised third party. Only those immediately involved in the recruitment process will have access to your information. Any written comments, notes and assessments made during the recruitment process will not be released to you. You are able to view and update your Profile at any time and you can apply for any future positions which match your job preferences and interests. You will still need to formally apply for any role for which you would like to be considered. This website may be accessed worldwide. PRINCIPIA makes no representation that the content of this website complies with the laws of any country outside Singapore/Indonesia. If you access this Site from outside Singapore/Indonesia, you are responsible for ensuring you comply with all laws in the place where you are located. Although the information and recommendations provided on this website are presented in good faith and believed to be accurate as of the date they were submitted, we make no representations or warranties as to the completeness or accuracy of the information. This website and any services accessible on or via this website are provided as seen and your use of and reliance on the information on this website and the online services is entirely at your own risk. Information is supplied upon the condition that the persons receiving same will make their own determination as to its suitability for their purposes prior to use. In no event will we be responsible for damages of any nature whatsoever resulting from the use or reliance upon information posted on the Internet. We and our officers, directors, employees, affiliates or consultants shall not be liable for and you hereby indemnify us and our officers, directors, employees, affiliates or consultants against any direct, indirect, special, incidental, consequential or punitive damages or loss of any kind whatsoever or howsoever caused arising out of your use of this website or the online services or the information contained on this website or your inability to use this website or the online services. Each time you apply for a position, you will be asked to confirm you have read this information and agree to participate in our process, you also consent to the collections and use of the personal information by us in the ways described hereinabove (which may change from time to time). Further, you consent to your referees, the school/college/university/institute where you have studied, the professional qualifying bodies where you received your accreditation and Employers to disclose your personal information to us.